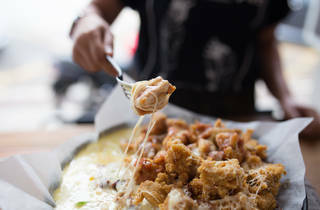 The star at this Korean fried chicken joint is the fondue-style hot snow cheese chicken. 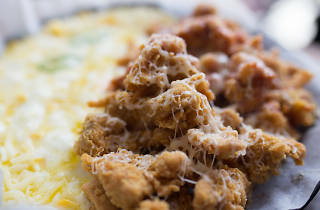 Yes, it’s a mouthful, quite literally: there’s a hot plate, half filled with cheese and the other half with boneless crispy fried chicken (you can get original, spicy or a mix of both). 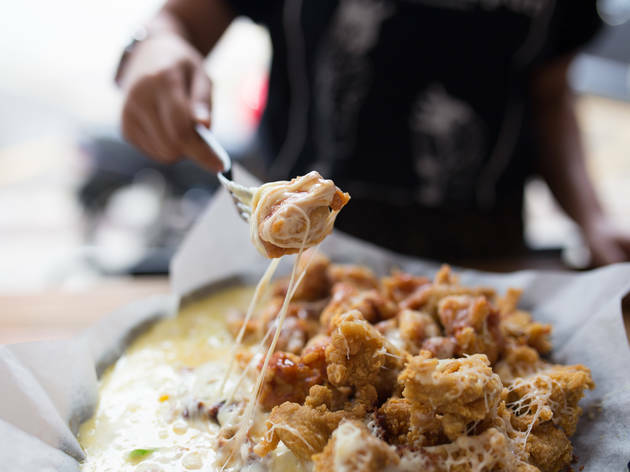 The waiter will assist you in heating up the plate and once the cheese melts, get ready to twirl your fried chicken in it. If it gets too jelak after one cheesy fried chicken too many, refresh your palate with the pickled side dishes that come with the meal. 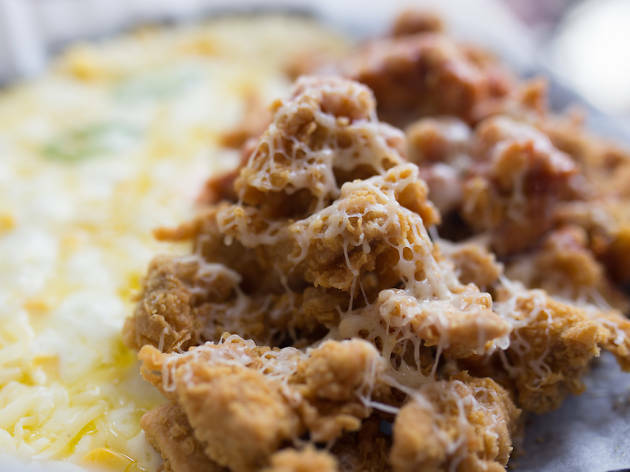 One plate is enough for up to four people, so we suggest noting this under group dining options.